How to write a superb college application essay to increase your chances of getting accepted to an Ivy. If you’re reading this, chances are your goal is to get into an elite school such as Stanford, Yale, or Harvard. A quick investigation into these schools reveals that the increasing number of applications leads to stricter admission guidelines and lower acceptance rates. In fact, acceptance rates have been everything but encouraging in recent years. 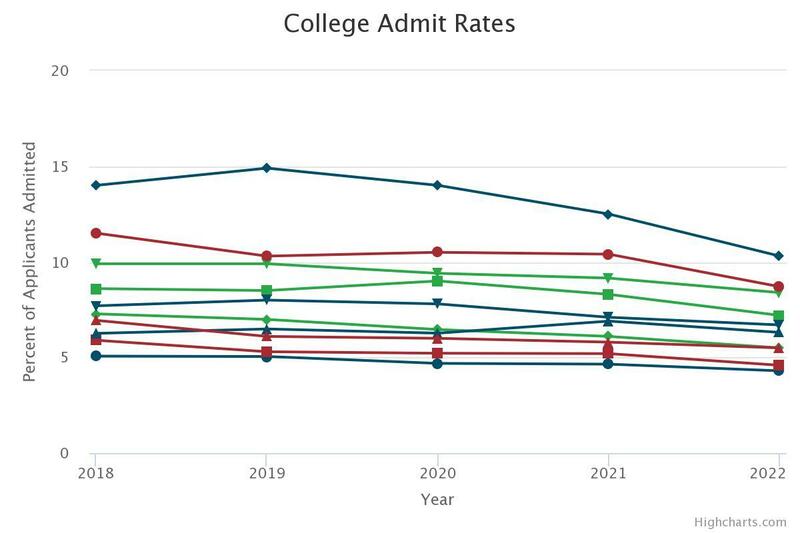 For example, this year’s admissions cycle had the lowest rates in history at all except one Ivy League school. The acceptance rate at Harvard — 4.59 percent — was the lowest in several decades. Yale’s acceptance rates for classes of 2018 and 2020 were just 6.26 and 6.27 percent, respectively. Stanford was the most selective Ivy League university with the lowest acceptance rate of 4.3 percent. In fact, here’s a chart showing the trends in Ivy League schools’ admission rates that The Crimson compiled in April. Analysis of Ivy League schools indicates declining admissions rates. Since all of the students applying to Ivy League schools have overwhelming academic achievement and impressive scores, it’s easy to come to the startling realization that your academic performance may not be enough to get accepted. Therefore, the main thing that can help you stand out from the fierce competition is the admission essay. That’s why we’re going to see what it takes to craft a personal statement that beats others by speaking to admission professionals in a unique and personal way. Grace Kim, a former Stanford admissions officer, said in a recent interview with CNBC that she has encountered hundreds of essays about a short but rewarding experience. The sheer number of works written about these experiences made them a cliché in the college admissions community. These essays are the best for determining personal values and personalities of students, which are critical requirements for universities. So, avoid writing essays about short experiences and try to come up with a topic that has a profound personal importance to you. Admission officers will appreciate that. Many applicants write their admission essays in a detached style — a style that makes the reader feel disconnected from the author of the essay or the person described there. This is not a good way to go about essay writing. If you go with a topic that doesn't matter to you, it won't matter to those reading it. Simply explained, writing an essay in a detached style won’t make admissions professionals fall in love with you. On the other hand, if you get personal and show that there’s no other candidate like you applying with the same kind of passion, strengths, and characteristics, your chances of getting accepted will increase dramatically. How to make admissions professionals fall in love with you? Before you even begin writing an essay, think of a topic that you really want to write about. If you go with a topic that doesn’t matter to you, it won’t matter to those reading it. Don’t be afraid if the topic is complex — a great topic is always complex! Of course, there are some examples when a humorous essay helped students get into an Ivy League university, but the truth is, not everyone is funny. And it’s totally okay! Just think about this: how would it feel to read an essay where an applicant is trying too hard to be funny? Right, it would be a cringe-fest. 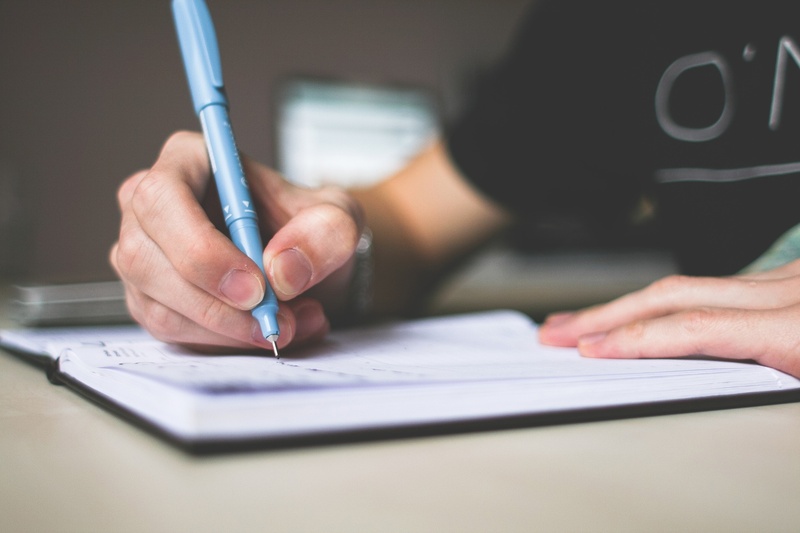 While experimenting with different styles of essay writing is strongly encouraged, don’t write a humorous essay just because you think that admissions professionals will appreciate it. Humor can make your essay unique, but it can also make it memorable for the uncomfortable experience someone had while reading it. One surefire way to engage readers and transport them into your story is to give vivid details. For example, tell them about the weather, your feelings, or the look on someone’s face. Make them taste that delicious apple pie you had on the 4th of July this year. This essay writing technique is called imagery and it allows the readers to see the world through your eyes and cheer for you in situations you faced. In other words, it introduces you as a human being, not just another applicant. So, be descriptive about the situation or the moment you’re addressing in your essay, because the admissions officers will want to smell it, touch it, and see it. Read the full review using the link above to get all details on Bobby’s use of imagery that got him into Harvard. This one goes without saying: an Ivy League application essay should never be a one-and-done deal. Even a small piece requires a lot of proofreading (checking for spelling, grammar, and punctuation mistakes). Remember — only one, simple grammar or spelling mistake will get you in the reject pile immediately. Don’t rely on your text processor’s spell check function — make sure to proofread it by yourself. When you’re done editing, ask your English teacher or even a friend to proofread some more. Remember — only one, simple grammar or spelling mistake will get you in the reject pile immediately. Be careful when giving your essay to others, though. Keeping the number of people you ask for proofreading is a great idea because having too many people giving you advice may result in your voice getting lost. As acceptance rates in Ivy League schools showed, your overwhelming academic performance may not be a deciding factor. To increase your chances of getting accepted, you have to write a superb essay that follows the best practices. Use the ones above to guide you to the success and help to beat stress associated with writing application essays. Lucy Benton is a writing coach, an editor who finds her passion in expressing own thoughts as a blogger. She is constantly looking for the ways to improve her skills and expertise. Lucy also has her own writing blog Prowritingpartner.com where you can check her last publications.